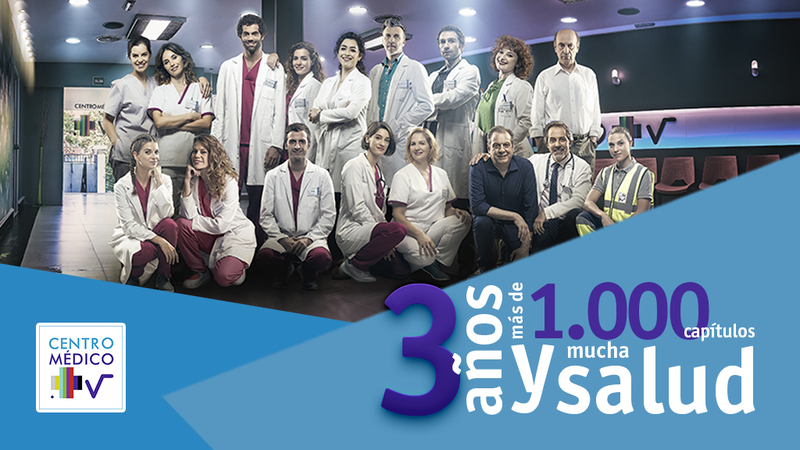 October 26 it will be 3 years since Centro medico began to be broadcast in the Spanish Public Channel La 1. During this time we have show the treatment of almost all diseases from the most common to the rarest, as well as the medical tests that are performed to diagnose them, achieving the public channel's objective: to entertain and offer a public service. This docufiction format is very appreciated by the public, who comment on social networks how much they learn and how they engage with the personal plots. This support has been reflected in the audience data. In these years we have given prominence to more than 2500 actors, who have shared their talent with our team, playing the rols of patients and family members. There have been many great moments in the series. We would like to highlight the case of the boy from Asturias who saved his father thanks to the cardiopulmonary resuscitation he learned in the program. In the last season, we have changed hospital and we have incorporated numerous technical improvements, as well as new actors such as María Isasi, Armando del Río, Eusebio Lázaro, Xabi Murua, Óscar Ramos, Mariona Ribas, and Vicente Renovell, who join our " usual medical team "formed by Jordi Mestre, Charo Molina, María Pedroviejo, José Navar, Ana Villa, Ana Cela, Ana Caldas, Rebeca Valls and Cristina Llorente. We have also created Centro medico app that already has more than 55,000 downloads and that releases healthy content during the broadcast of the series, through videos, tips, questions and small pills with curiosities. Three years have passed and now you can experience the exciting stories of the series, together with the new interactive health content application.